✅ Get face down on the floor resting on your forearms and knees. ✔ Push off the floor, raising up off your knees onto your toes and resting mainly on your elbows. ✅ Contract your abdominals to keep yourself up and prevent your booty from sticking up. ✔ Keep your back flat — don’t let it droop or you’ll be defeating the purpose. 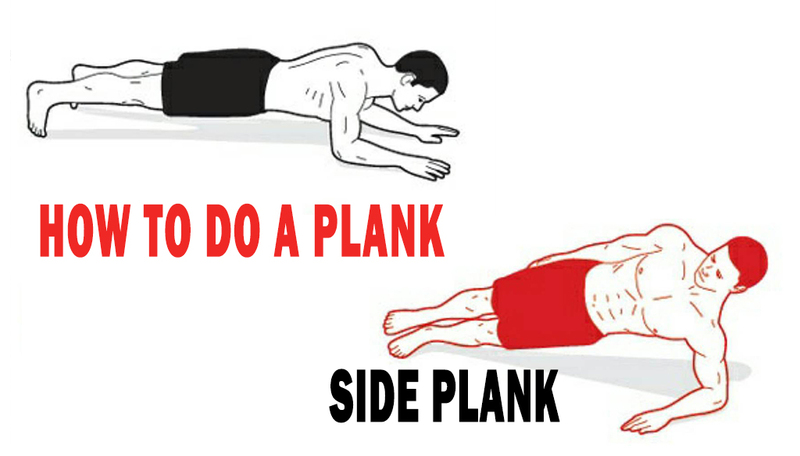 Picture your body as a long straight board, or plank. ✅ Hold as long as you can. Aim for 20 to 30 seconds in the beginning and work your way up to one minute, as you get stronger.